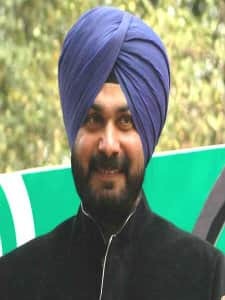 Navjot Singh Sidhu is a former Indian cricketer and a former Member of Parliament from Amritsar, Punjab between 2004 and 2014. 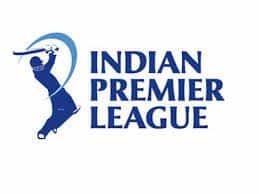 He joined politics after retiring from cricket and was also nominated by BJP as a member of Rajya Sabha in April 2016 and he resigned from Rajya Sabha three months later. 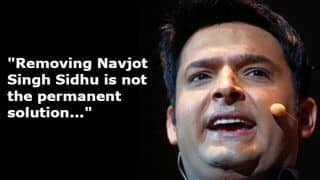 He is also a TV commentator and has been a part of many television shows like The Great Indian Laughter Challenge, Comedy Nights with Kapil and the Kapil Sharma Show. 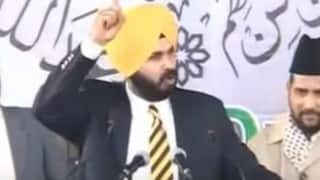 He along with Pargat Singh and Bains brother formed a new political front Awaaz-e-Punjab just month before the 2017 Punjab assembly elections claiming to fight against those working against Punjab.Born on 20th October 1963 in a Jat Sikh family in Patiala, Punjab, his father Sardar Bhagwant Singh Sidhu has also been a cricket player and always wanted to see his son Navjot as a top-class cricketer. 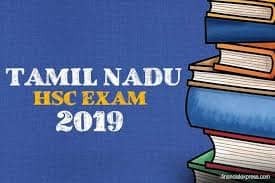 Sidhu studied in Mumbai at HR College of Commerce and Economics before getting his cricketing career in 1983. He made his debut in international cricket in a Test match against West Indies in 1983. 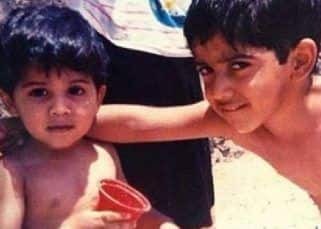 He was then selected for the 1987 World Cup squad and in his debut One Day International (ODI) match, he scored 73 against Australia. 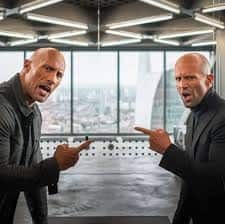 He scored four half centuries in five matches of the 1987 World Cup but India lost in the semi finals against England. He scored his maiden ODI century against Pakistan in 1989. His score of 134 against England in 1993 is considered by him as the best innings of his 16 year career. It was also his highest ODI score. He played over 50 Test matches and over 100 ODIs and scored 7,000 international runs. He also scored 27 first class centuries in his 18 year career span. 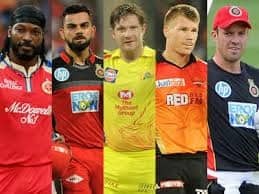 He had the nicknames as Sixer Sidhu for his prolific performance and Jonty Singh with respect to his improved fielding at that time. 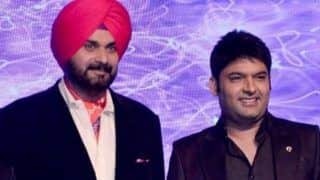 Sidhu retired from all forms of International cricket in 1999 and then took over as cricket commentator as well as hosted and participated in popular television shows. 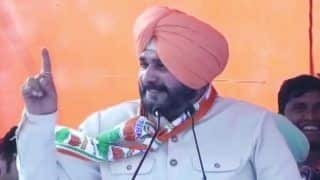 Sidhu joined Bharatiya Janata Party (BJP) and was elected to Lok Sabha from the Amritsar constituency. He had to resign from his post in 2006 after facing manslaughter charges. 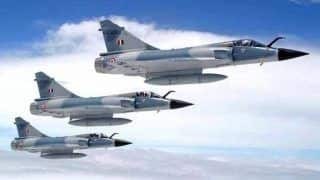 In 1991, he was accused of assaulting Praveen Shah and causing his death. He claimed that he wasnt guilty and was falsely involved in the case. 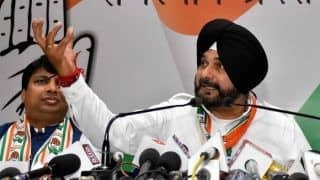 After the High Courts decision of finding Sidhu guilty and a three year prison term, he appealed to Supreme Court in 2007 and Supreme Court stayed his conviction and sentence and allowed him to contest the election. 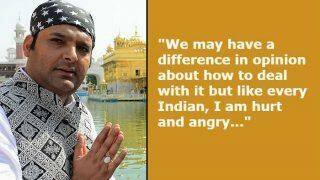 He contested and won the Amritsar Lok Sabha seat in February 2007. 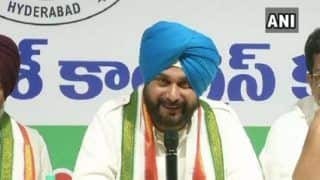 In the 2009 general elections, he was re-elected from the Amritsar constituency by defeating Om Prakash Soni of Indian National Congress by a margin of 6858 votes. 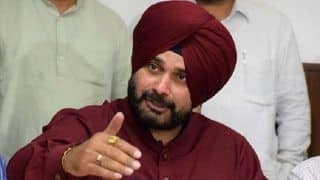 Navjot Singh Sidhu was denied the ticket on 2014 General Elections from Amritsar constituency and Arun Jaitley was nominated from BJP for the Amritsar constituency. 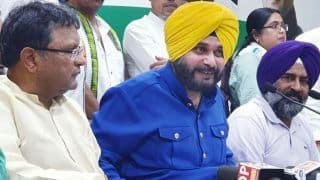 Reiterating that he has no opposition to the decision of Arun Jaitley contesting from Amritsar constituency, he even considered himself as Jaitleys protg. 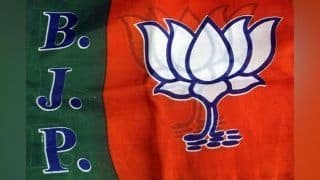 However, he denied to contest from any other constituency and accepted the partys decision whole heartedly. In April 2016, BJP nominated him as a member of Rajya Sabha. 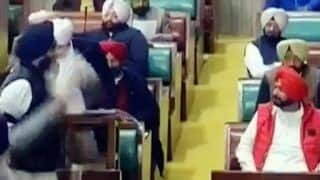 Reports say that he was nominated to Rajya Sabha to prevent him from joining Aam Aadmi Party (AAP). 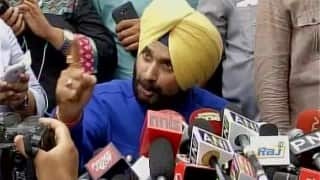 Sidhu however resigned from the post three months later and stated that the position was just a mere burden for him and he wanted to work for the state of Punjab. 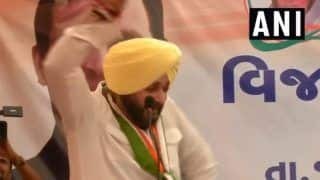 Many political scholars expected him to join AAP and be the Chief Ministerial candidate of AAP for Punjab Assembly Elections of 2017. 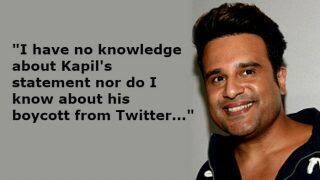 A thing between him and AAP doesnt work smoothly and he never became a part of AAP. 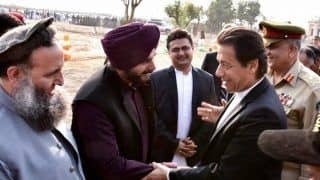 In August 2016, just months before the Assembly elections inPunjab, he along with Pargat Singh and Bains brothers formed a new political front called Aawaaz-e-Punjab.Sidhu is married to Navjot Kaur Sidhu, a doctor and a member of the Punjab Legislative Assembly. 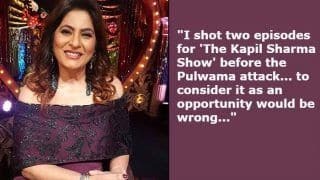 They have two kids, a daughter named Rabia Sidhu and a son named Karan Sidhu. 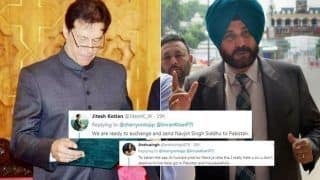 Sidhu is vegetarian and is also the current president of World Jat Aryan Foundation. He has also made a special appearance in Mujhse Shaadi Karogi, ABCD 2. 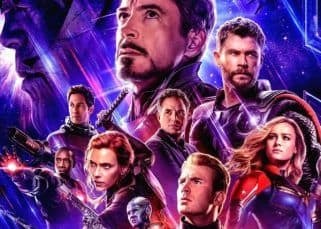 He also has acted in a Punjabi movie Mera Pind and played the role of an NRI Navroz Singh Lamba. 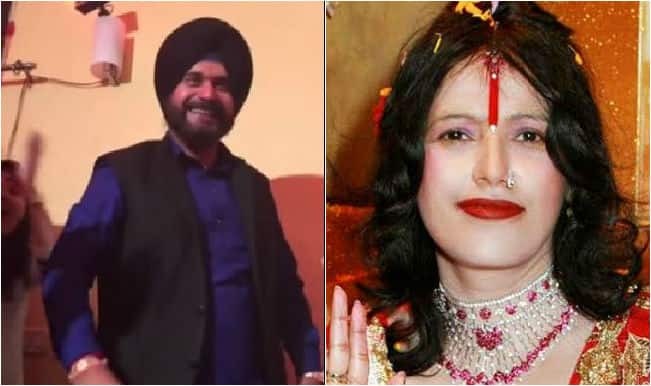 When Radhe Maa found a fan in Navjot Singh Sidhu! 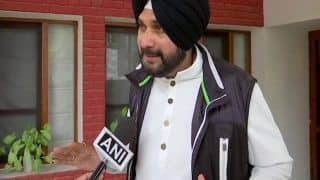 Watch video of Sidhu going gaga over fake godwoman!